Hello Klaus The seeds I ordered from you have now started to grow well and I am interested to know how you make the Garlic spray that you have mentioned before. Last year I had an infestation of whitefly on my calabrese and it became inedible. 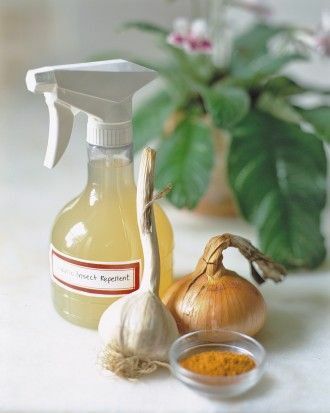 I’m usually quite lazy and buy the garlic spray from a garden centre (Garlic Wonder) as well as seaweed liquid and dilute them together with water. I spray the mixture weekly onto susceptible plants. Unfortunately it doesn’t work if there are already aphids present. You need to spray the leaves before the aphids come in order to confuse them.